88 E. San Fernando St.
As Bikoo’s founder and chief executive officer, Casey is in charge of the daily operations of the organization, as well as long term planning and strategy, with a special focus on the relationship between technology and the distribution of art. 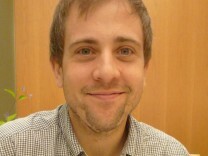 Casey founded Bikoo in 2011 alongside Shinichi Murakami as a way to broaden the distribution Japanese content. Before founding Bikoo, Casey was one of the founding members of SyncTV, an internet video platform service provider. At SyncTV, Casey designed and managed a world-class encoding and delivery system, and guided SyncTV’s business development efforts throughout Asia. Casey has a B.A. in Liberal Arts from Menlo College with a certificate from Kansai Gaidai in Japanese. Casey is fluent in Japanese and is an advisor to companies in Japan and the United States on the topics of media, technology, and cross-market potential. As co-founder, Shinichi was the driving force behind the concept of Bikoo – the groundbreaking idea that an agile company, focused on bringing Japan to the world, could fundamentally change the way countries market content abroad. He is an evangelist and representative for Bikoo in Japan and has been instrumental in connecting Bikoo with some of the most important figures in the Japanese media and art scene. 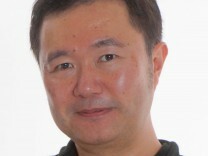 During his thirteen-year tenure at Sony, Shinichi was in charge of business development and new ventures between Japan, Singapore, and the US. He headed many projects in the area of internet services, online content distribution and digital rights management. After leaving Sony, He served in executive roles at internet media and content companies including Impress Holdings, a publishing and online media group listed on the first section of the Tokyo Stock Exchange. From 2008 through 2010, he served as president of Impress Imageworks, a subsidiary of Impress Holdings, running the company for two years until its eventual sale.